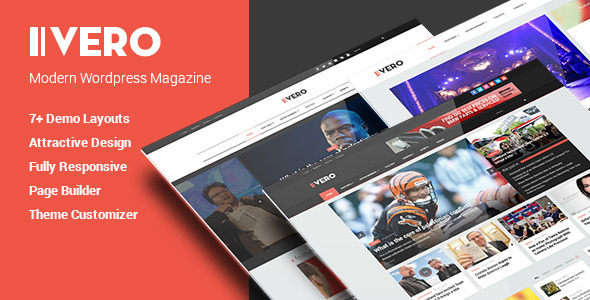 “Vero” is a Clean Responsive News, Magazine and Blog WordPress Theme. With a specific & beautiful design style, it is very suitable for bloggers, travelers, writers, photographers, illustrators, food or sport lovers even fashion shopper to share important something, hot news, events, personal stories or daily simply life on their own blog websites. In addition, Vero is easily usable with any mobile devices like tablet, mobile phone or larger screens without removing any content. 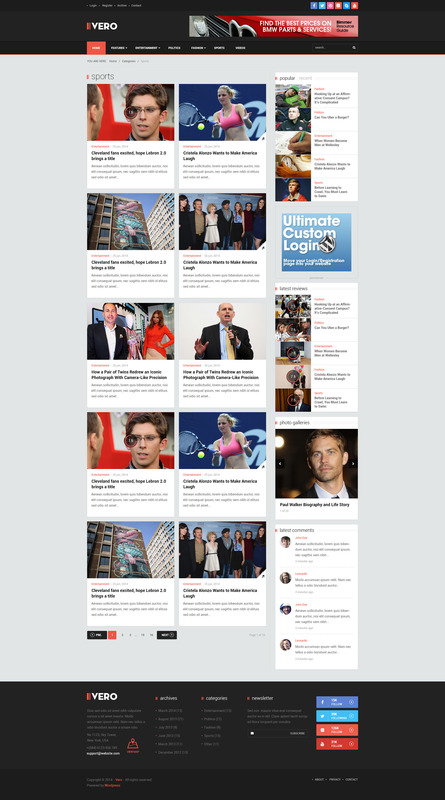 You can show your creation by mixing between all home page layouts to get a personal layout for your own website. Besides, Vero is also fully compatible with WooCommerce plugin, so you can be free to sell your fashion products such as clothes, shoes or accessories on your shop page professionally. 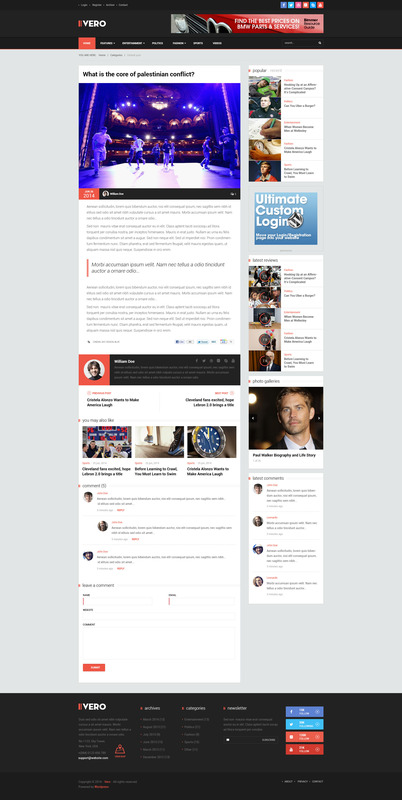 Of course, we provide regular updates, detailed documentation and topnotch support service for this blog WordPress Theme.